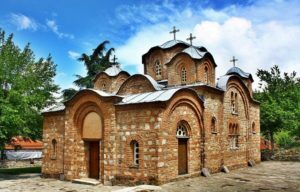 Near the capital of North Macedonia – Skopje – is located very interesting small church: Gorno Nerezi St. Panteleimon church, still surrounded by the old buildings and walls of monastery. Interior of the church is adorned with unusual frescoes – it still is Byzantine art but at the same time it is similar to Italian Renaissance… some 140 years before it started. As recorded in the inscription over the main portal, the monastery, and small church was built in 1164 by order of Alexius Angelus Comnenus. Monastery (and church) was devoted to St.Panteleimon – patron saint of physicians. This was a time when a prolonged period of relative stability and prosperity in the Byzantine Empire was coming to an end. Enemies were attacking the empire from many sides but the affluence still allowed to build expensive structures and to employ good artists. At this period of instability artists were looking into the classical ideals of art trying to use it in the art of Byzantine Empire. After the earthquake in 1555 the central dome collapsed and after the reconstruction, some frescoes had to be repainted – together with fragments of the old frescoes incorporated. In 1885 there was another attempt at restoration – many frescoes were repainted with rather low skills. Some of these were restored during the cleaning in 1923. It is a wonder by itself that this small church has survived through the natural calamities, Ottoman times, wars. The small church itself is built from irregular stones and brick, with thick layers of mortar. 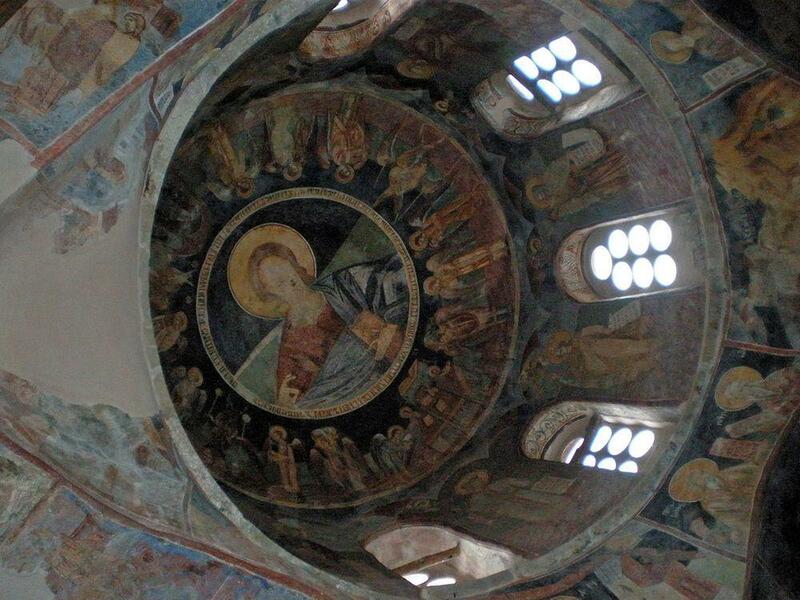 Interior of the church is adorned with frescoes – some of the best examples of Comnenian Age Byzantian Art. These frescoes show the Passion of Christ and various saints. 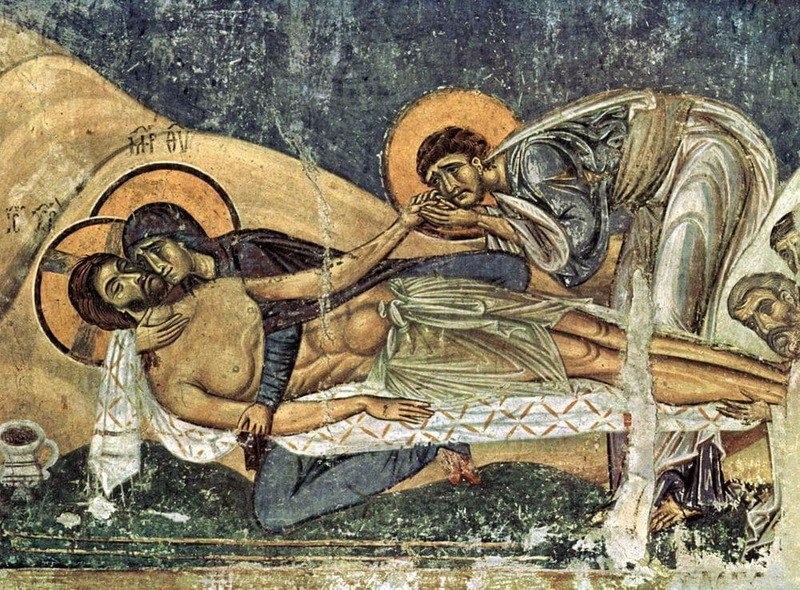 Most impressive fresco is the Lamentation of Christ. Some contemporary art historians (e.g. Andrew Graham-Dixon) consider that this stage in Byzantine art serves as an early introduction in Italian Renaissance long before its start. This art is not static – it is human and realistic and Christ in pieta is shown here as a man of flesh and blood. 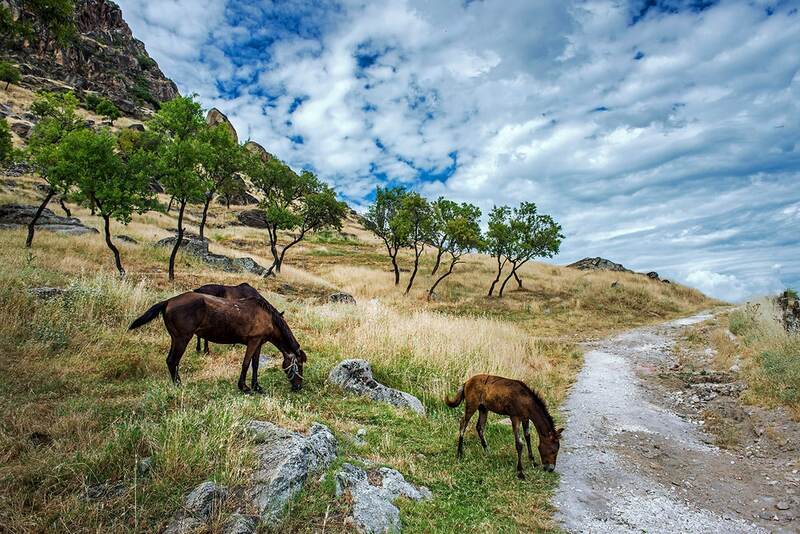 The diverse landscape of North Macedonia contains varied landmarks. Most interesting ones are the Byzantine churches and monasteries with very valuable monuments of art as well as the diverse archaeological heritage. Christian monasteries have proven to be a very significant element in history, influencing politics, science, architecture and art. 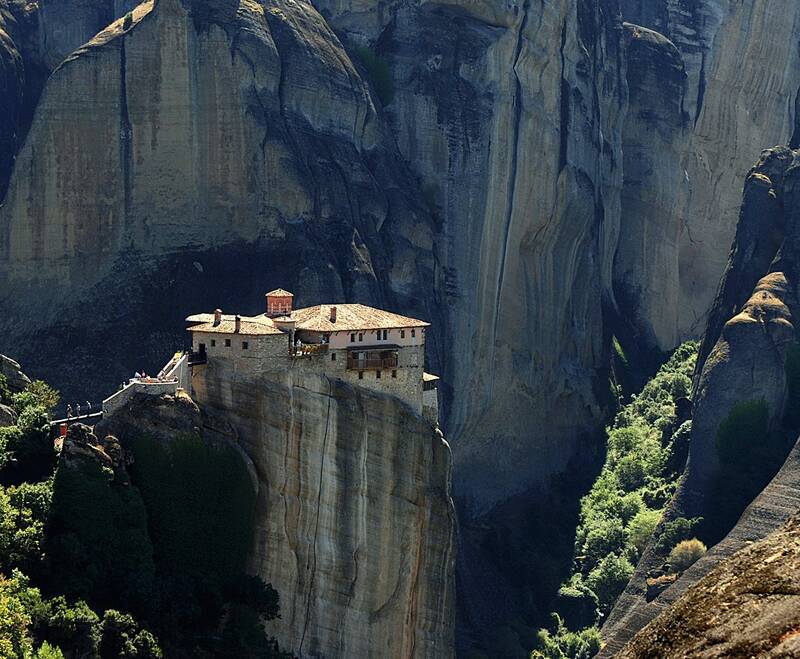 Often monasteries themselves serve as collectories of written works, art and crafts. During the last two centuries of its existence the Byzantine Empire was politically in a state of utter decadence, but, in contrast, its intellectual life has never before shone so brilliantly. In these four lectures the author discusses the leading scholars of the period, their erudition, their intense individualism, their controversies and their achievements. Byzantine Art and Renaissance Europe discusses the cultural and artistic interaction between the Byzantine east and western Europe, from the sack of Constantinople by the Fourth Crusade in 1204 to the flourishing of post-Byzantine artistic workshops on Venetian Crete during the fifteenth and sixteenth centuries and the formation of icon collections in Renaissance Italy.